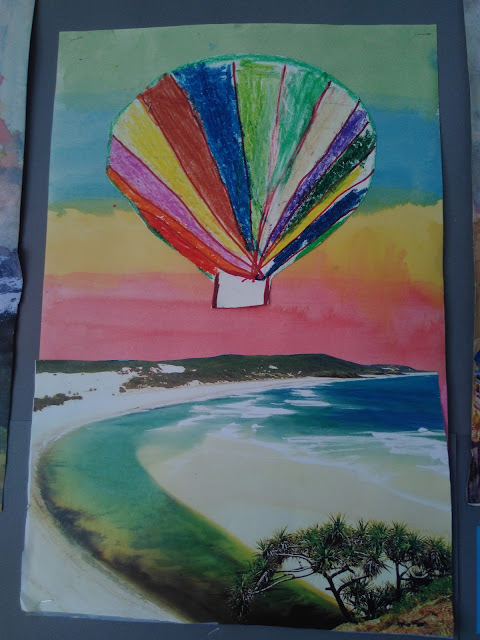 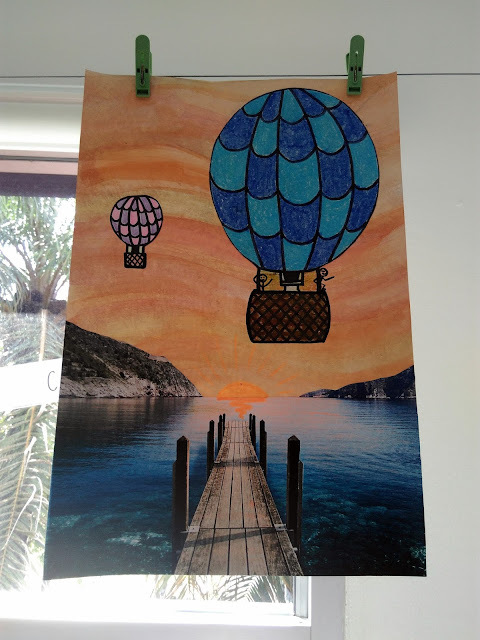 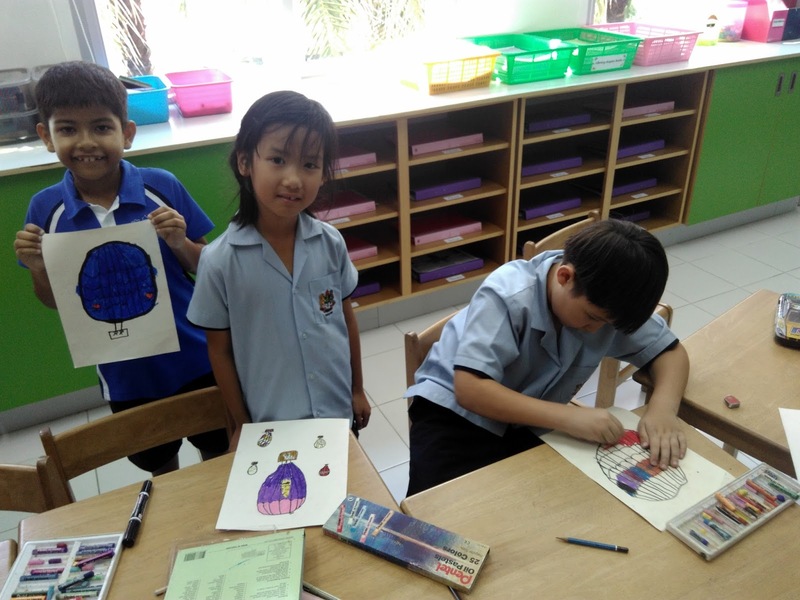 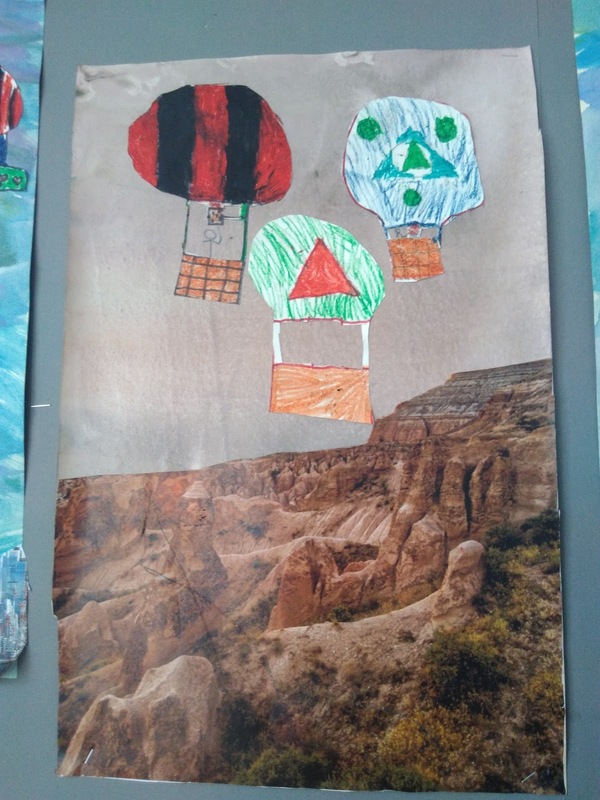 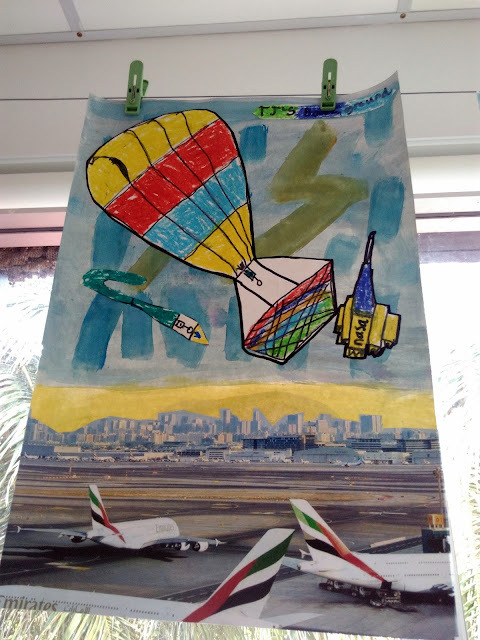 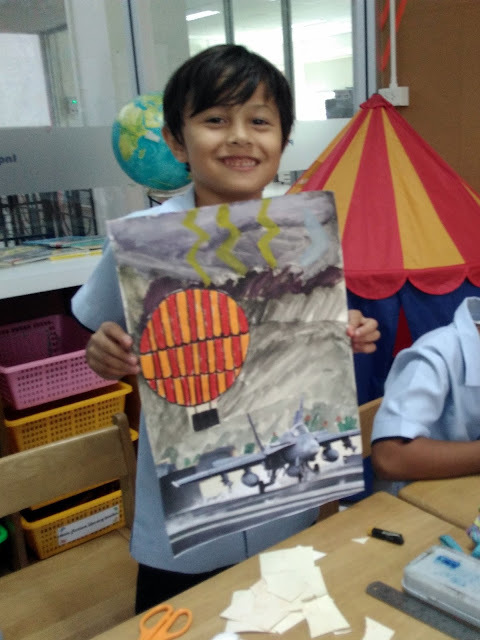 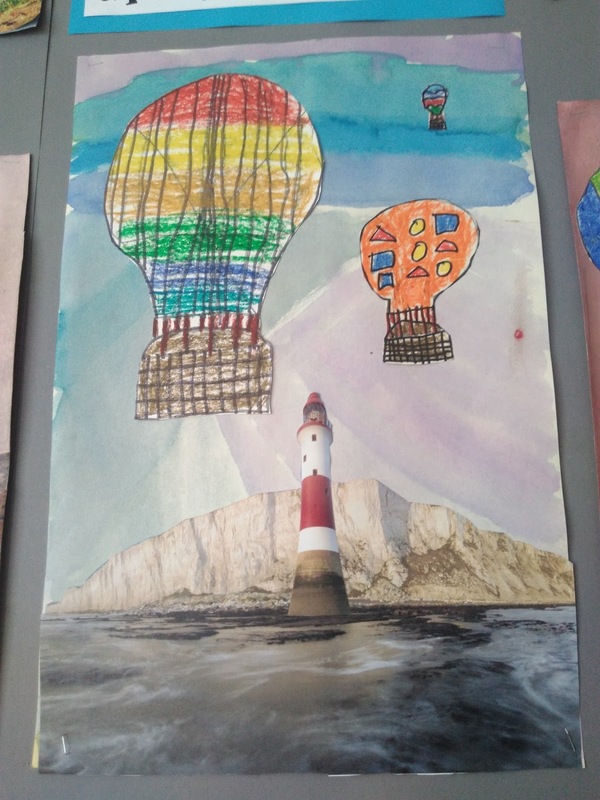 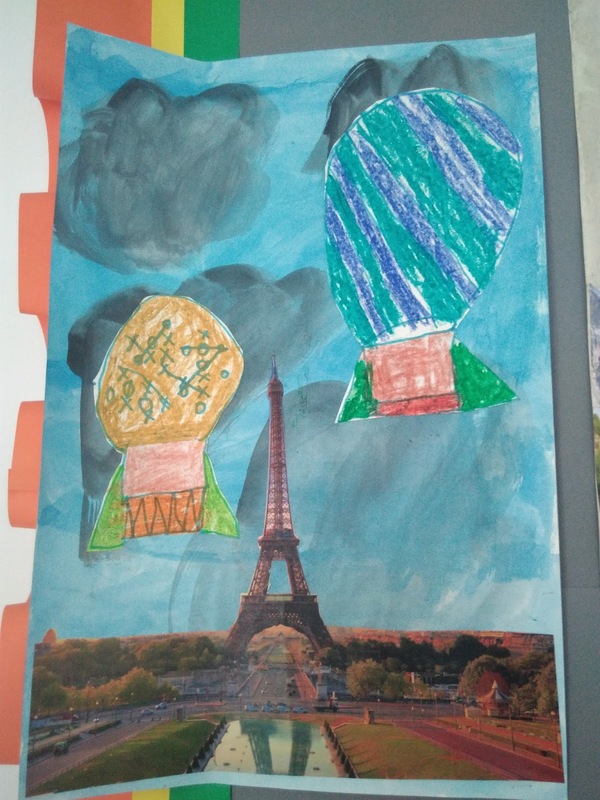 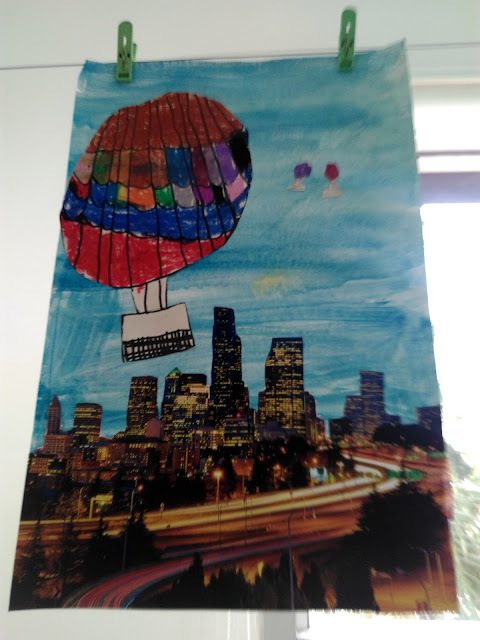 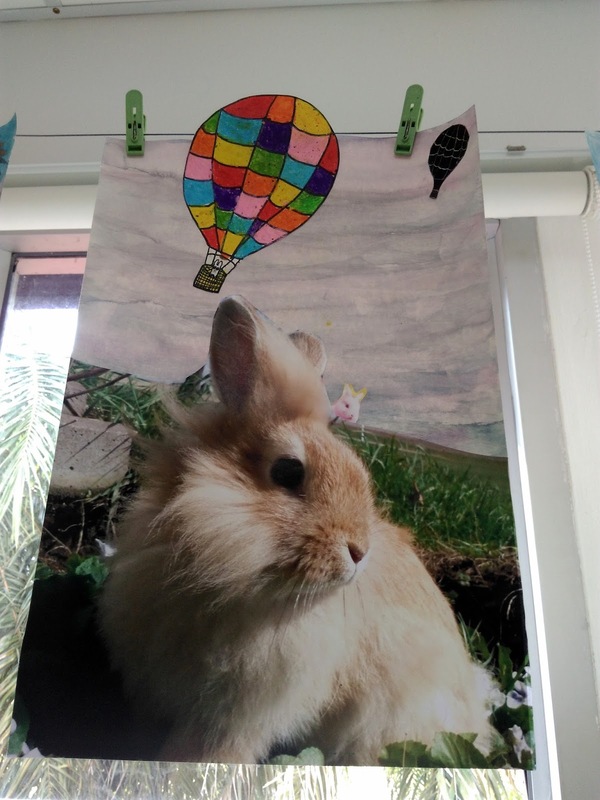 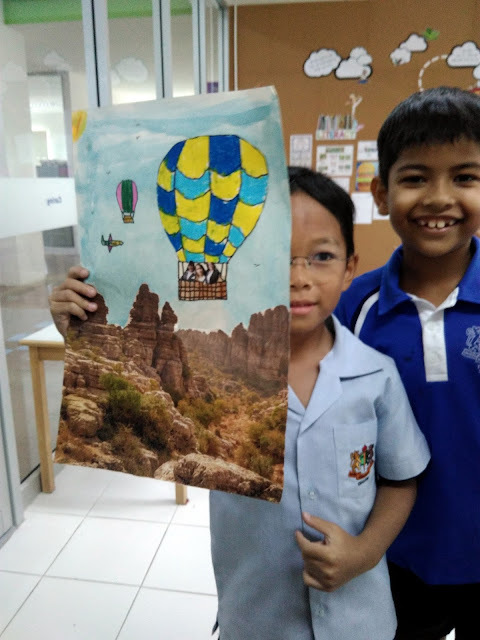 This week in connected learning we have been learning about how hot air balloons work. 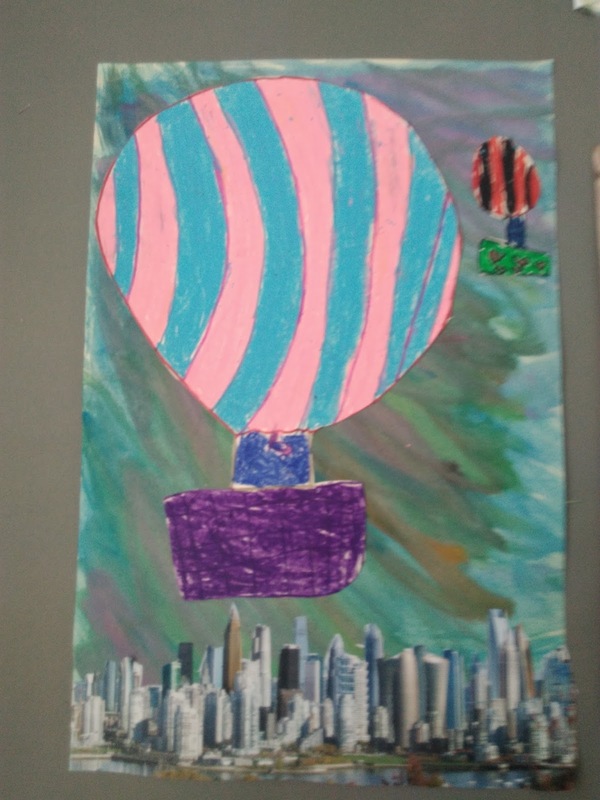 Did you know that the hot air balloon is the first human carrying flight technology. The first untethered manned hot air balloon flight was performed by Jean-François Pilâtre de Rozier and François Laurent d'Arlandes on November 21, 1783, in Paris, France, in a balloon created by the Montgolfier brothers. (There seems to be a brothers things going on here). 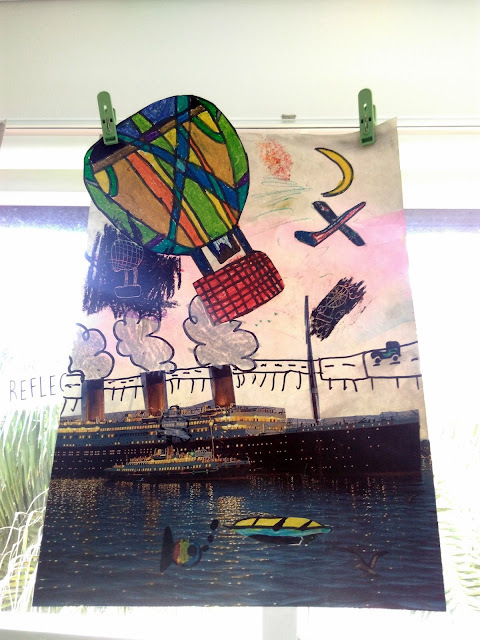 It was powered by an actual fire lit beneath the canvas balloon! 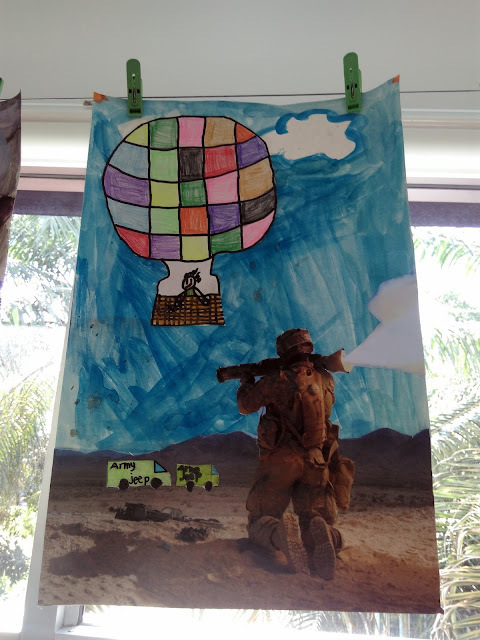 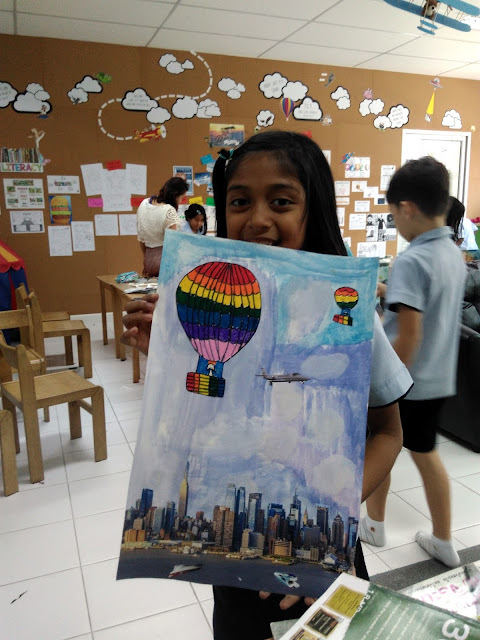 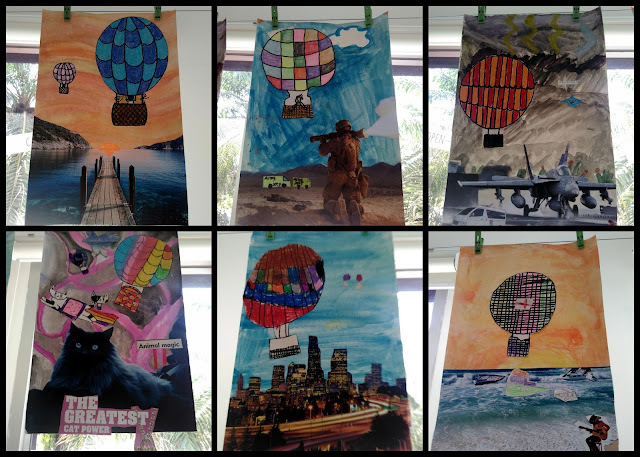 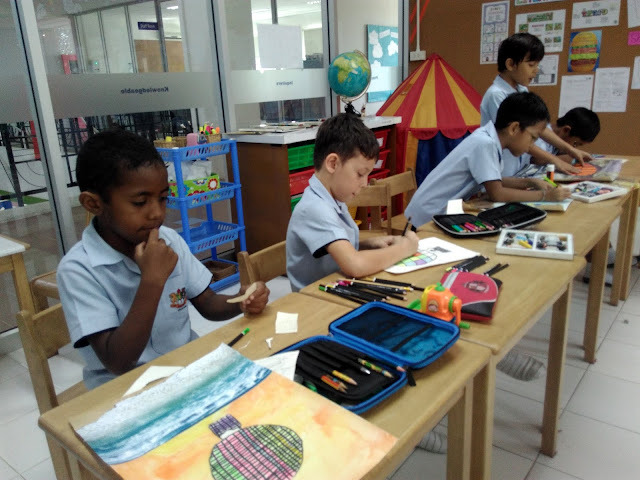 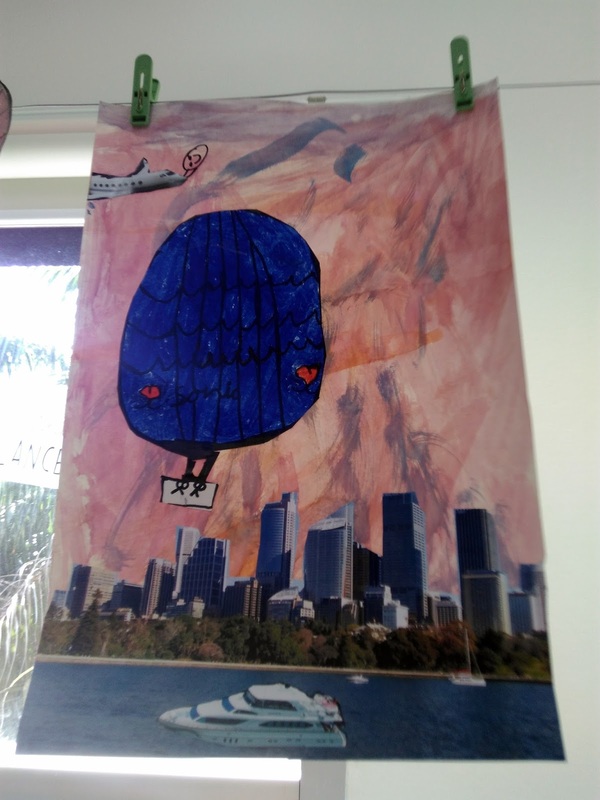 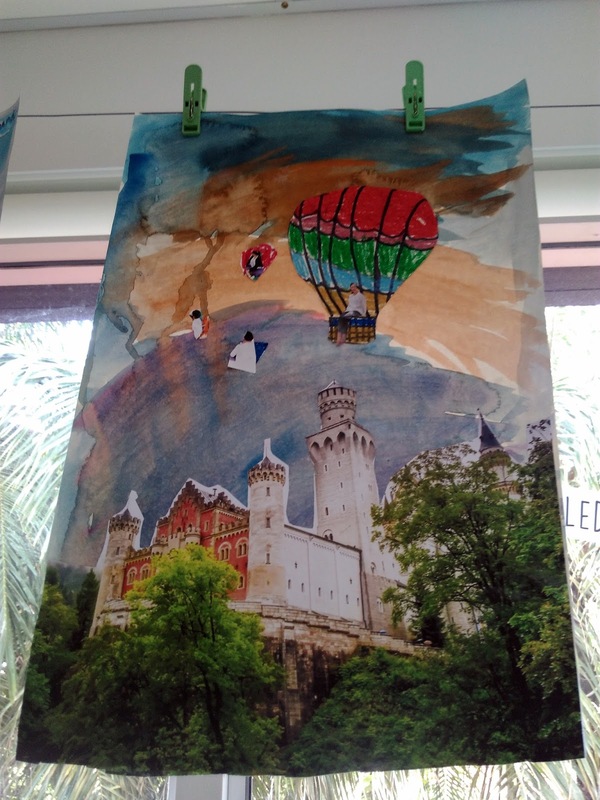 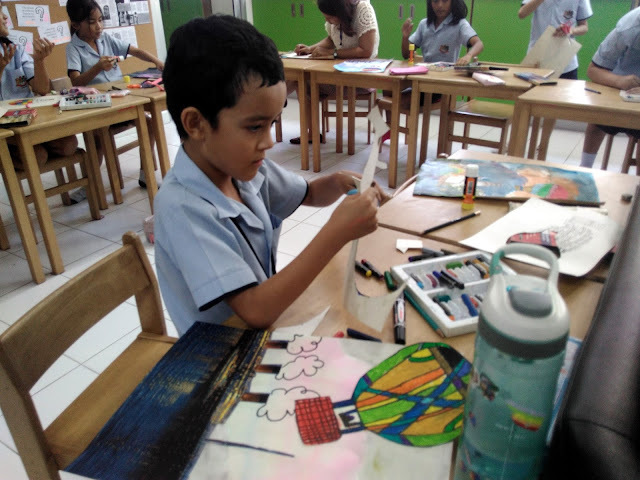 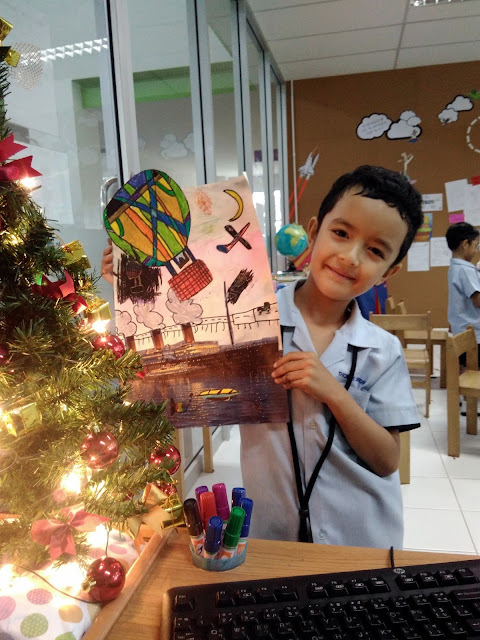 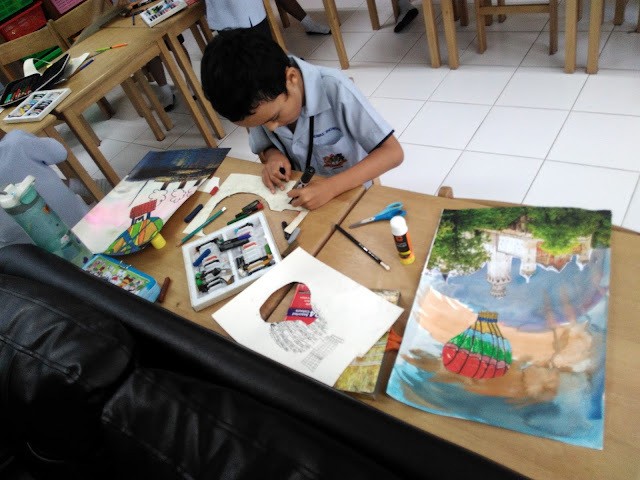 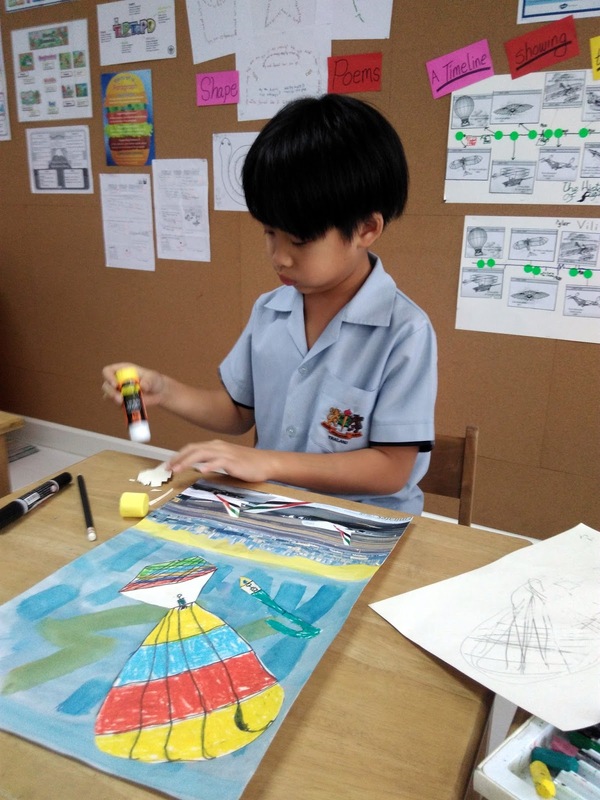 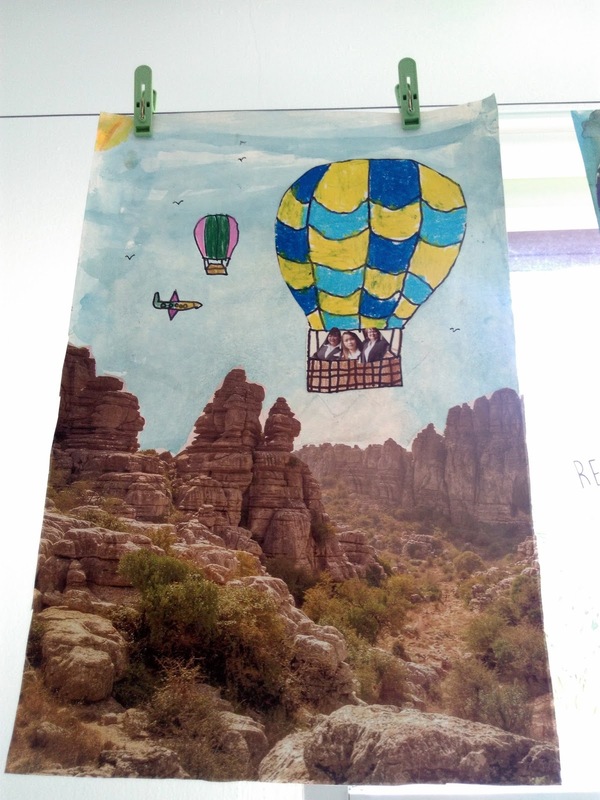 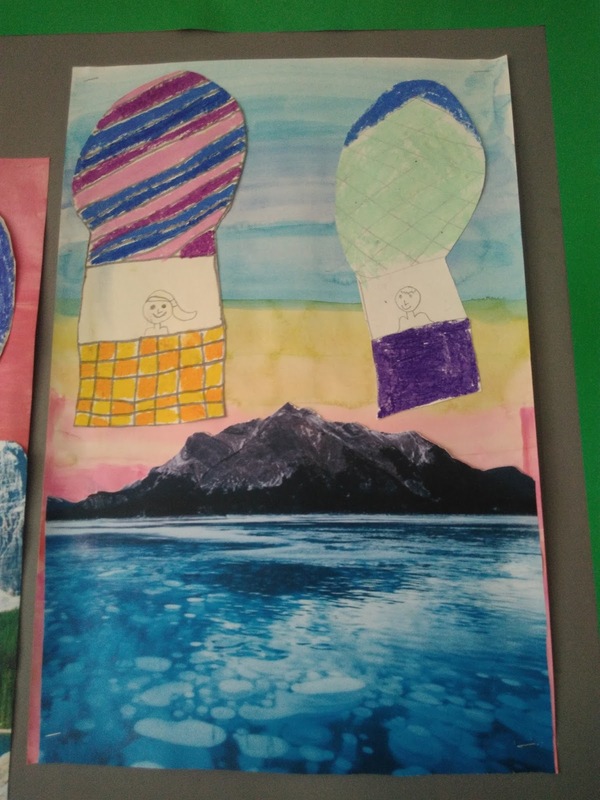 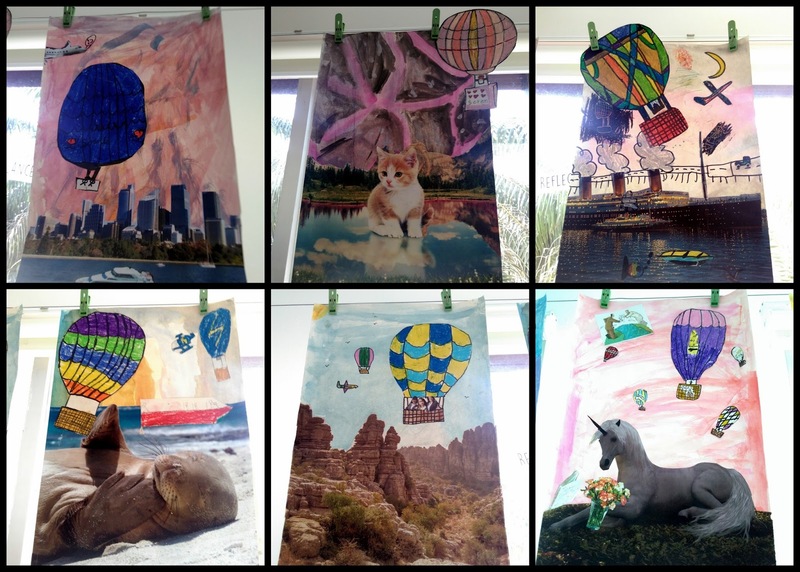 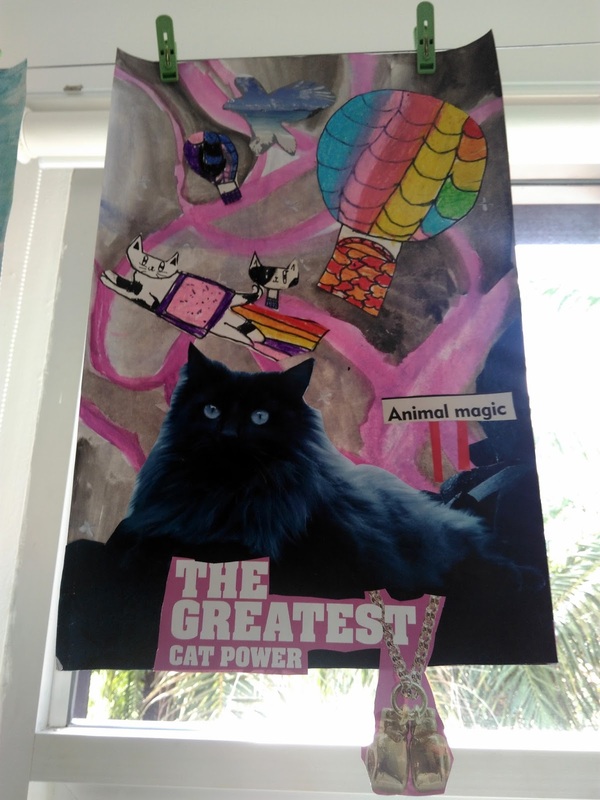 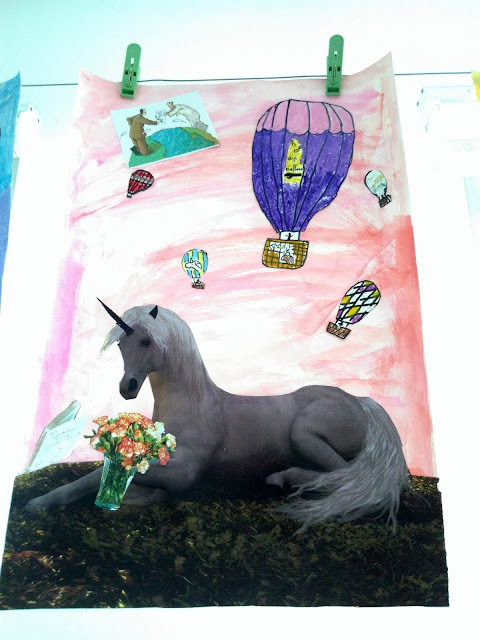 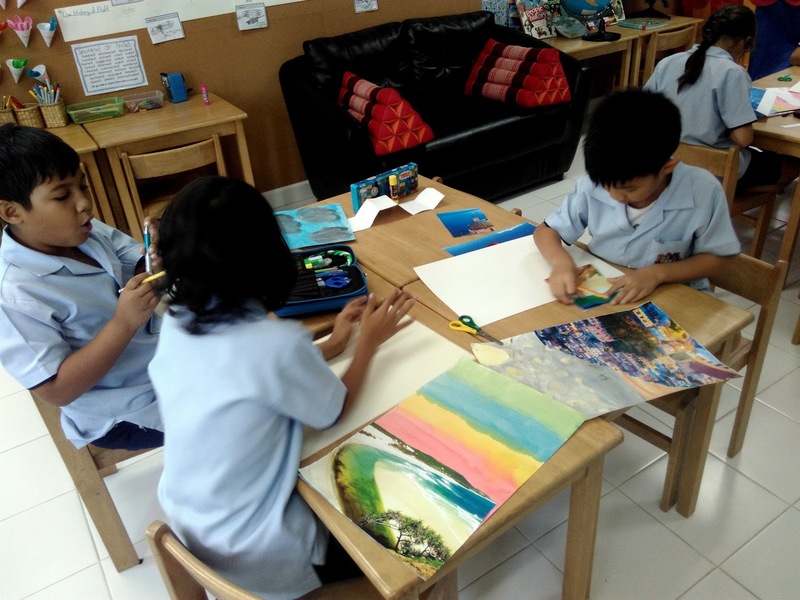 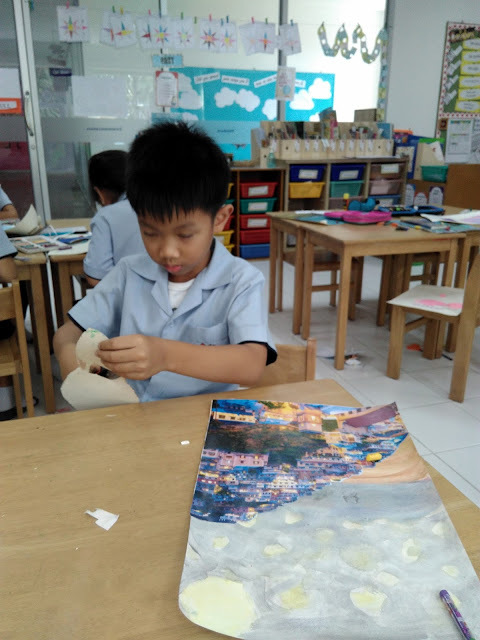 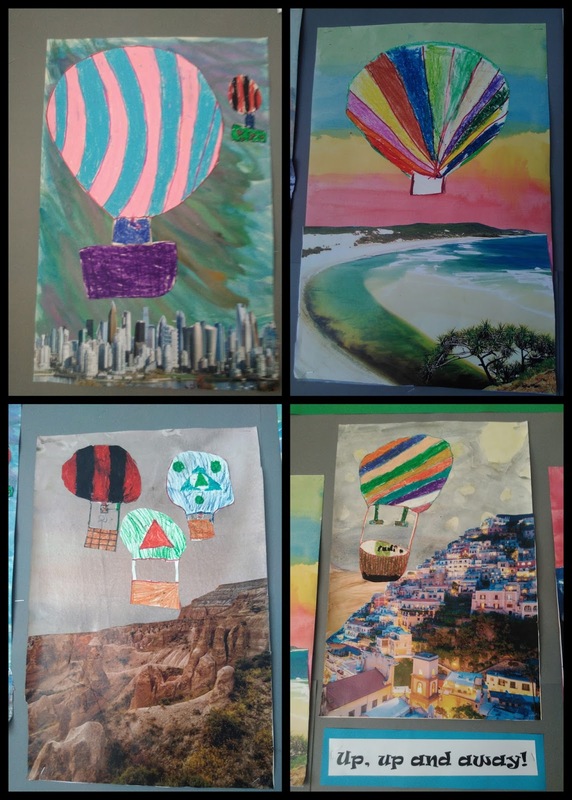 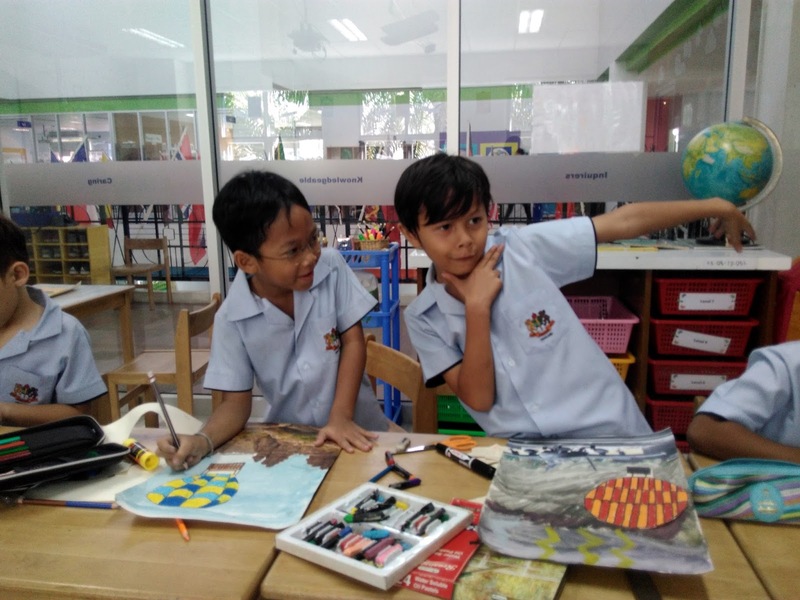 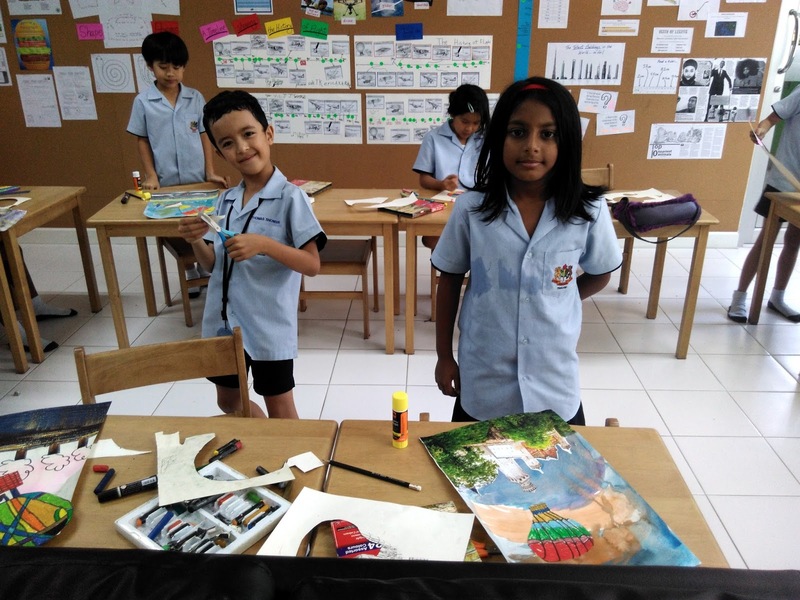 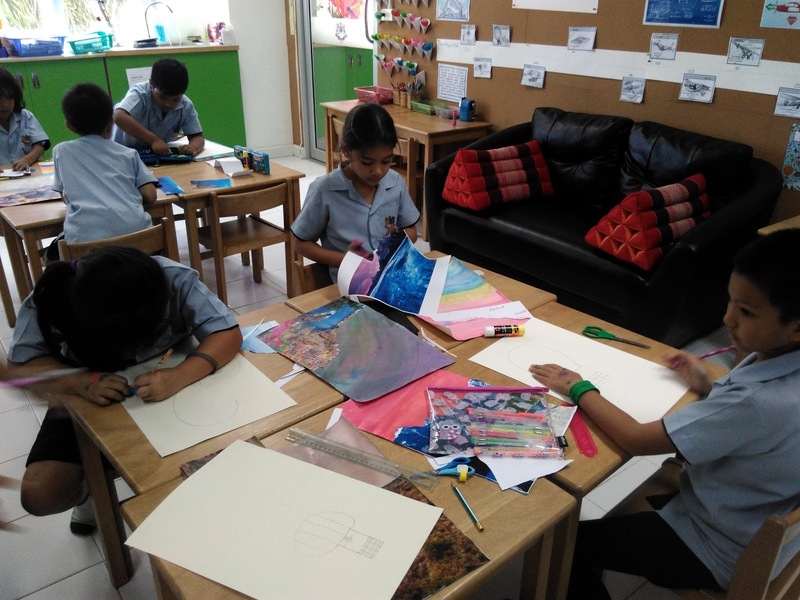 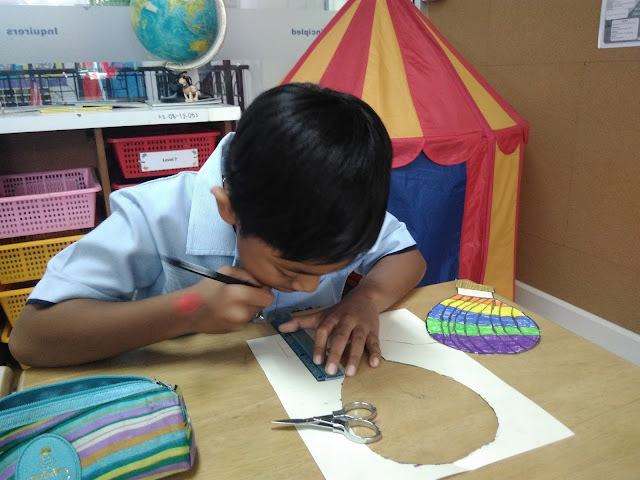 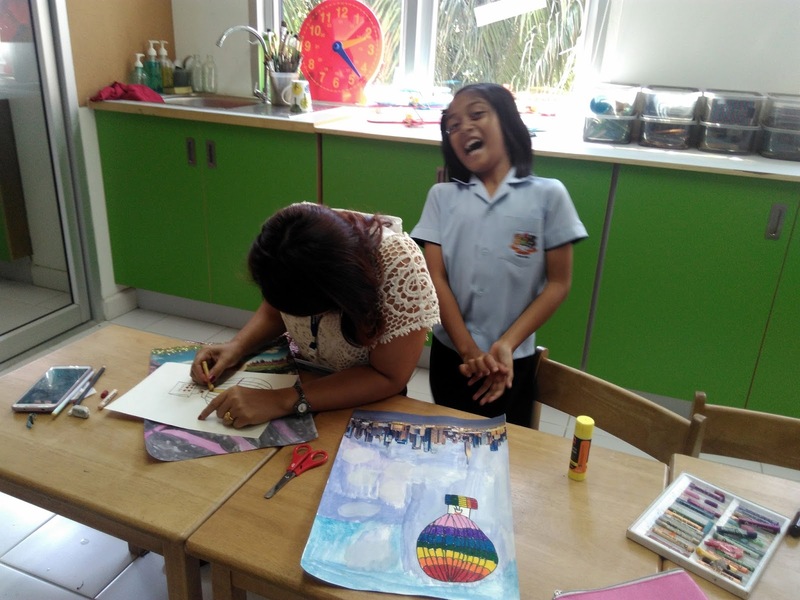 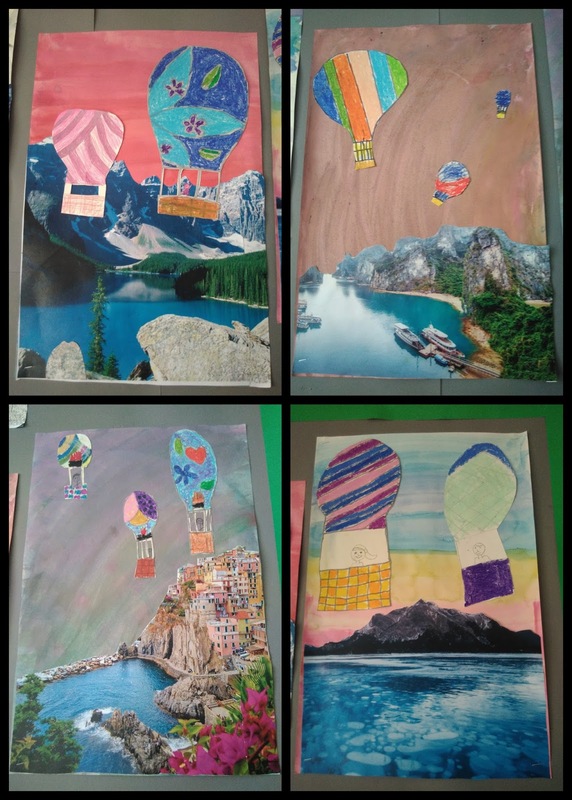 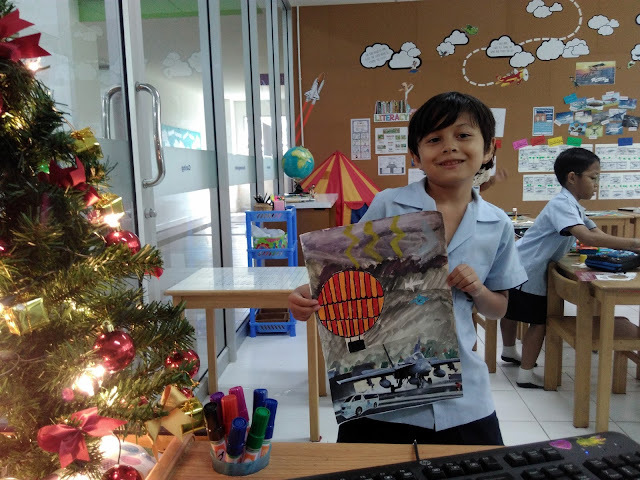 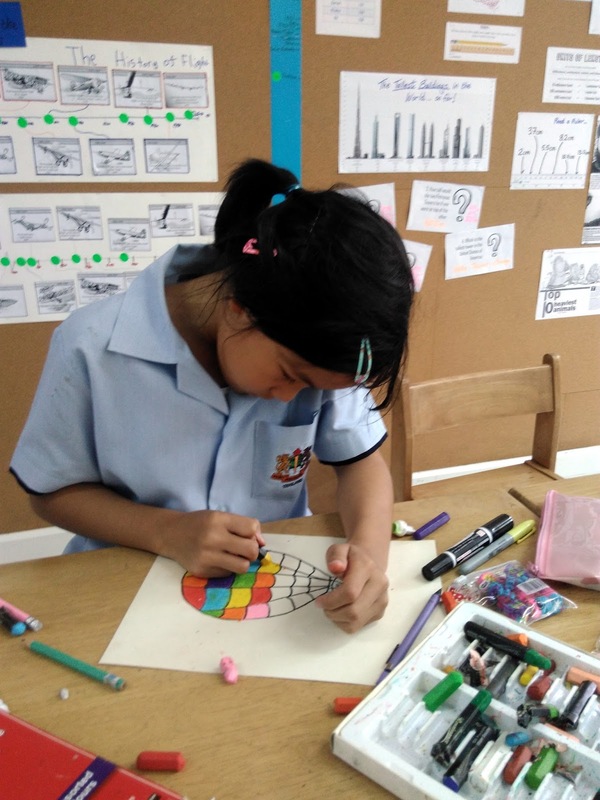 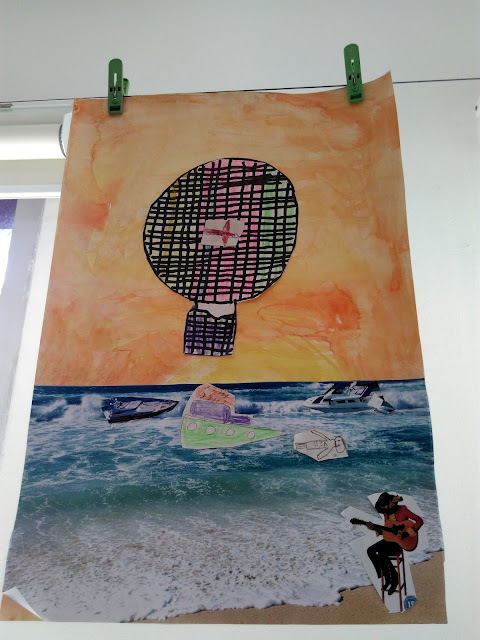 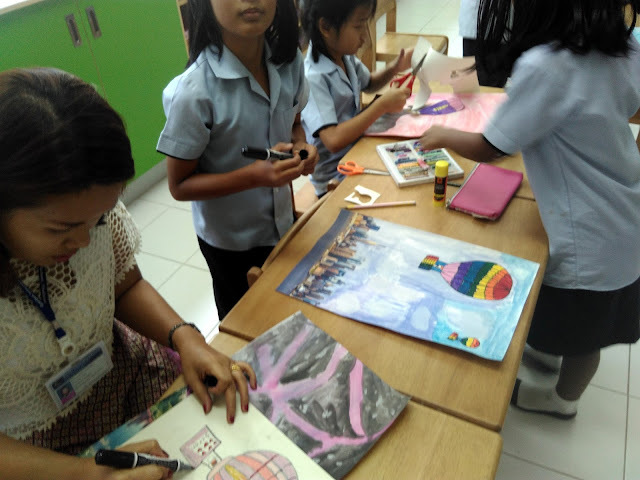 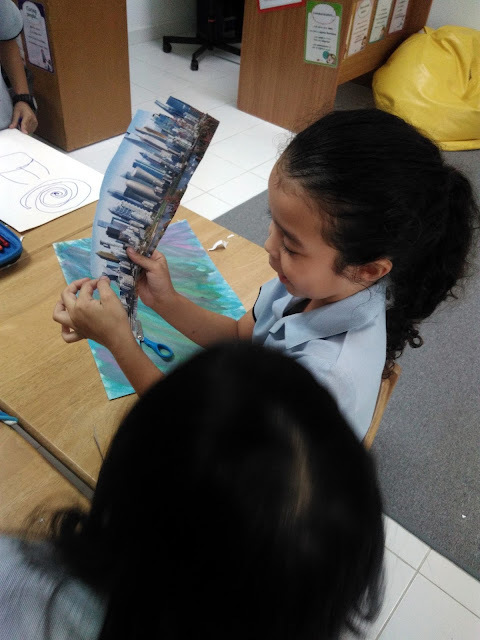 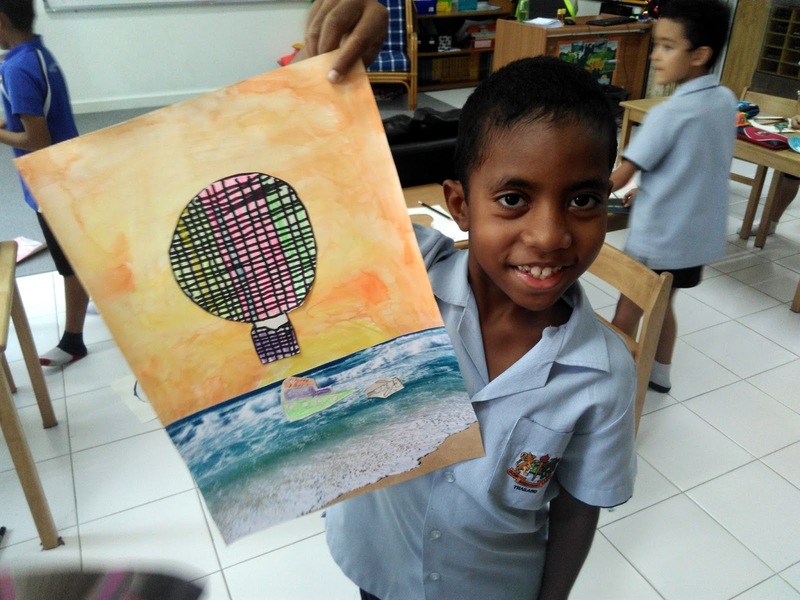 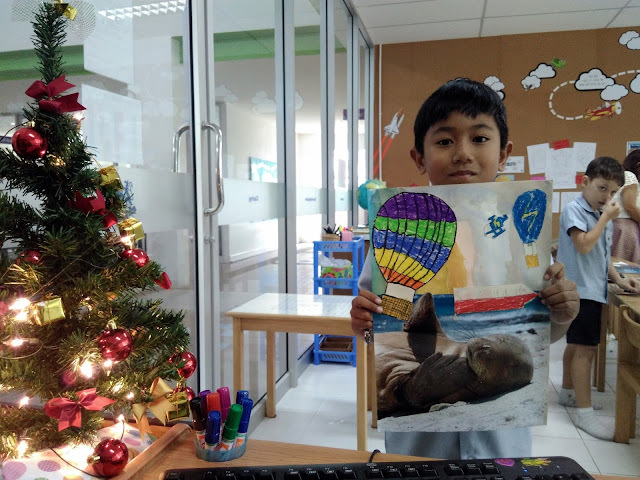 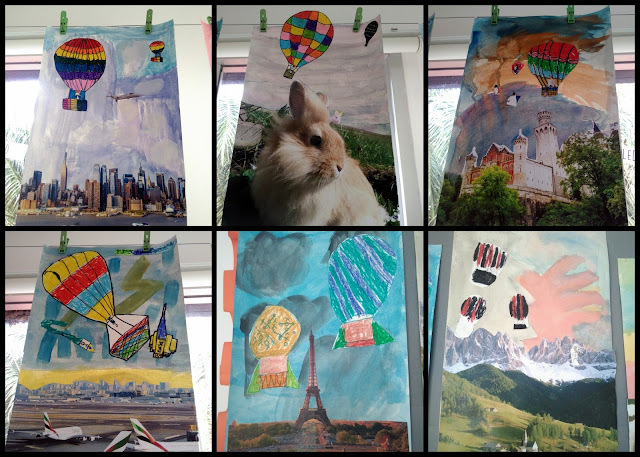 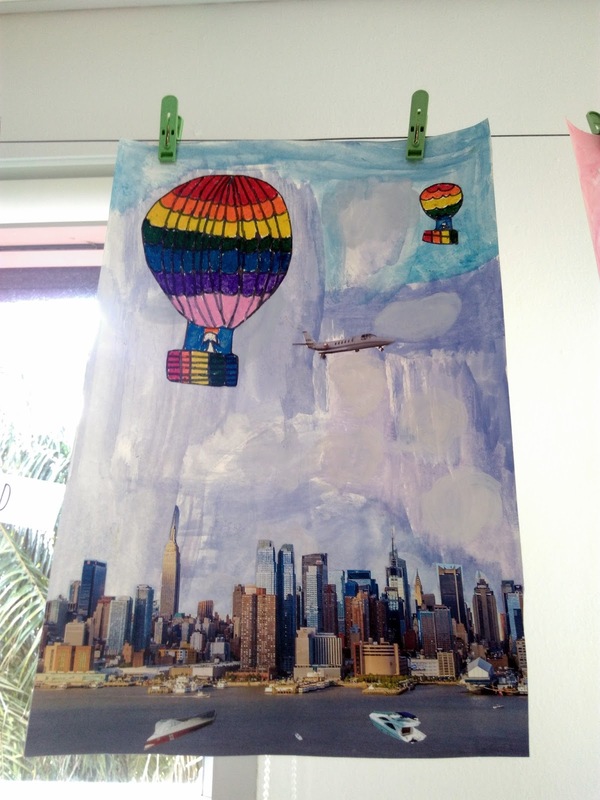 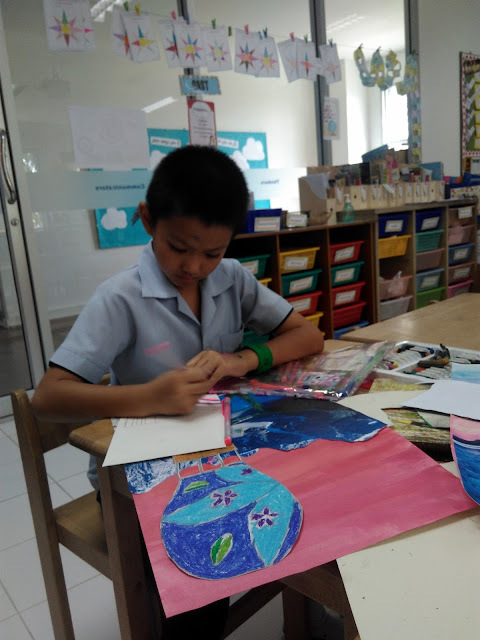 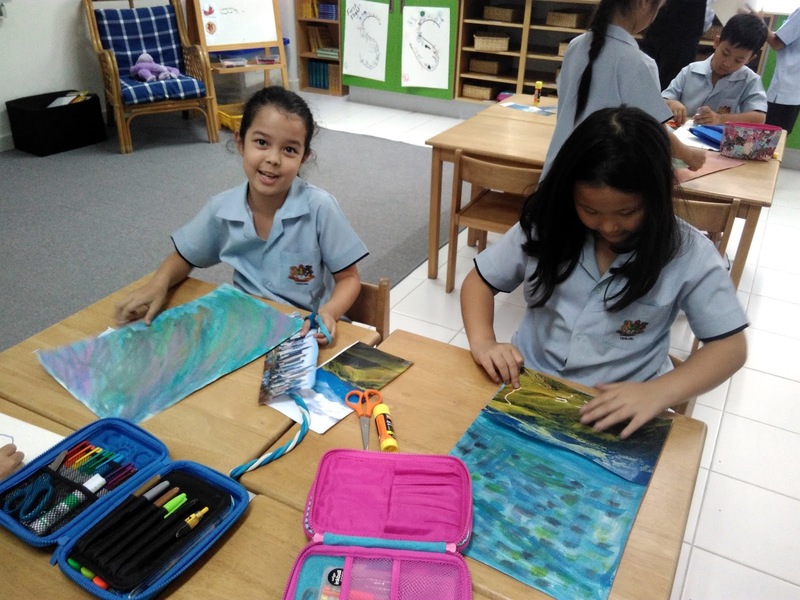 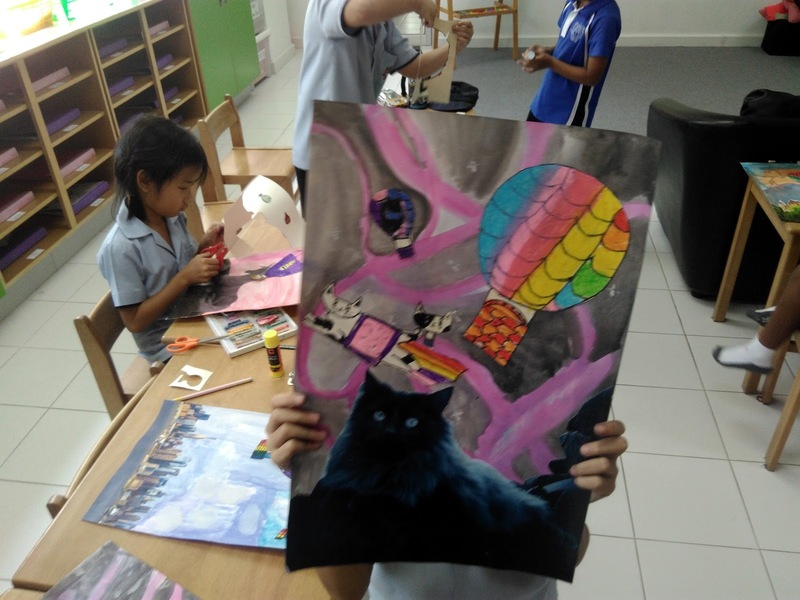 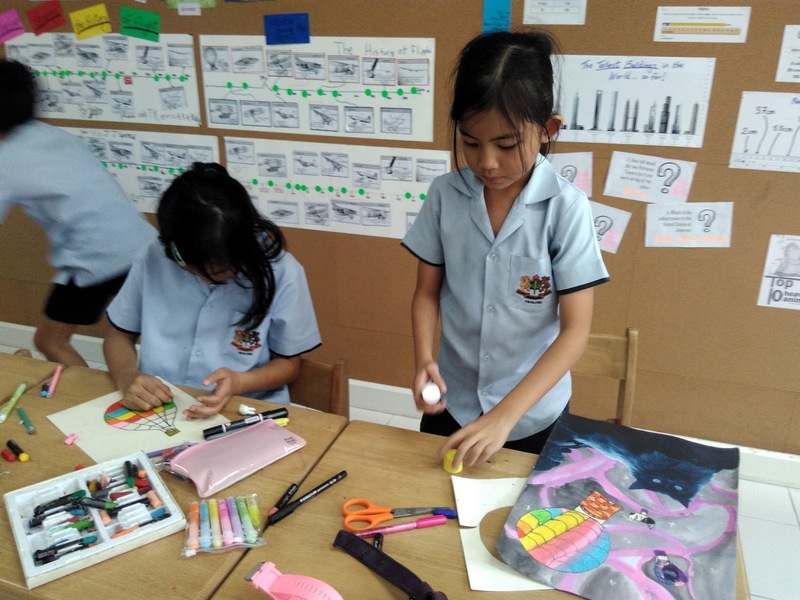 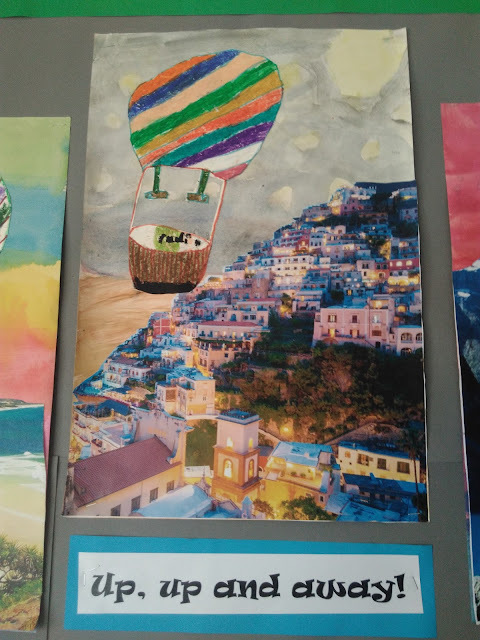 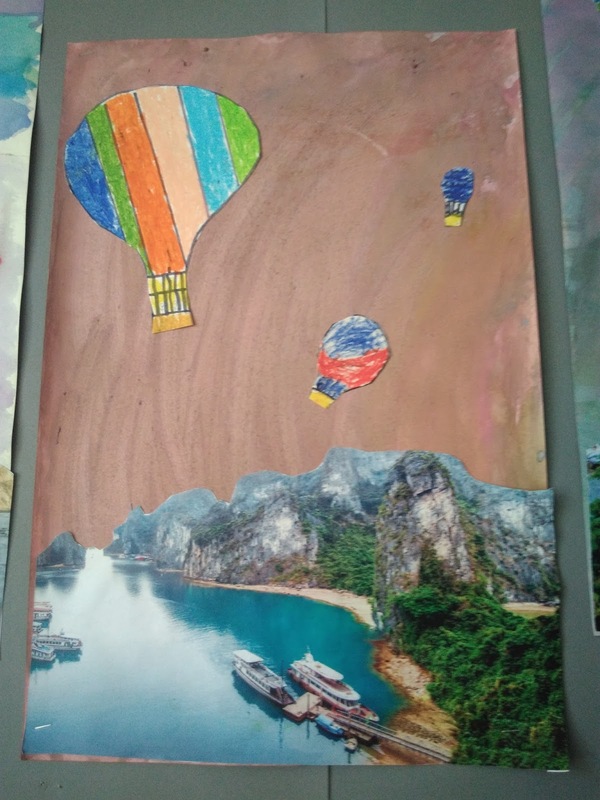 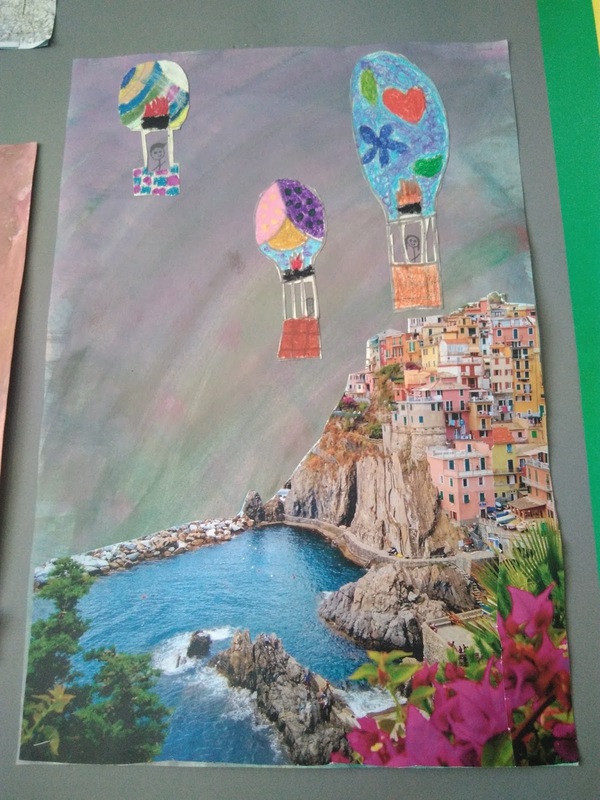 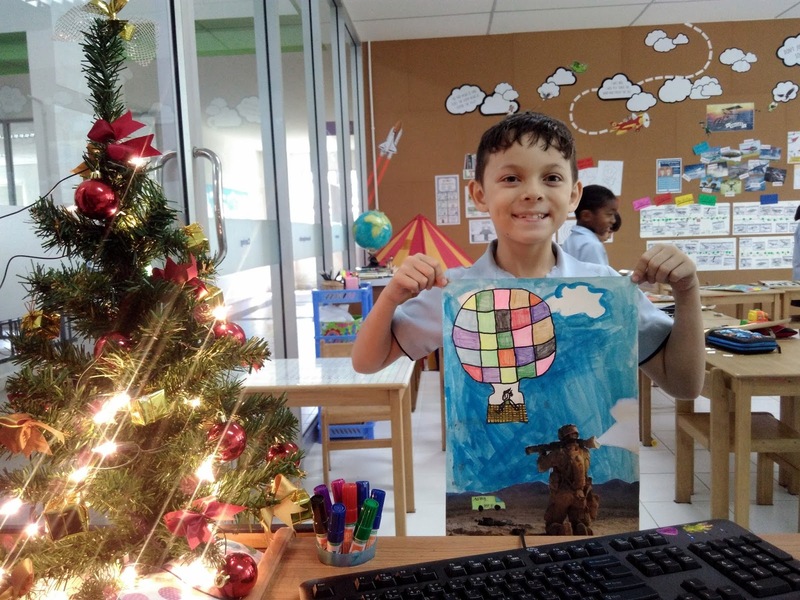 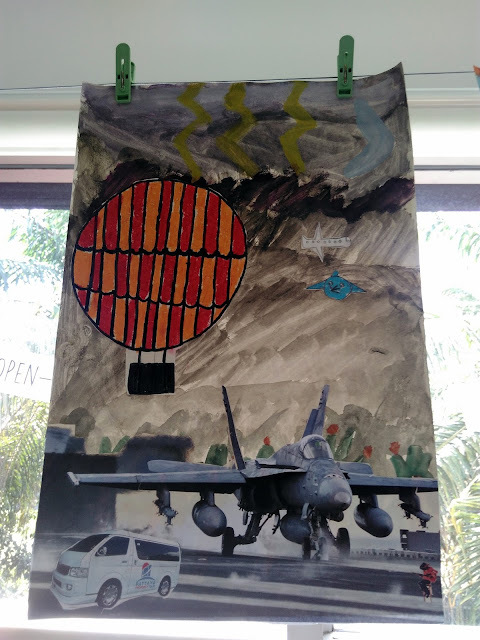 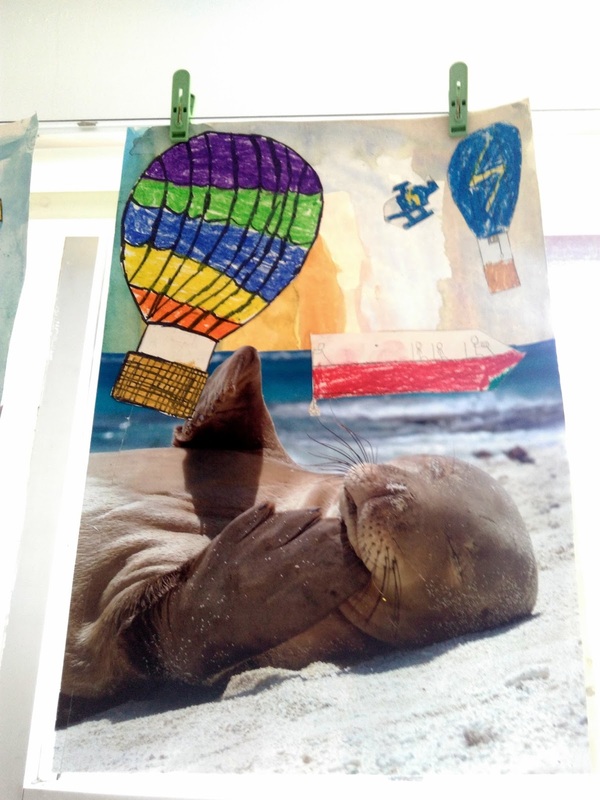 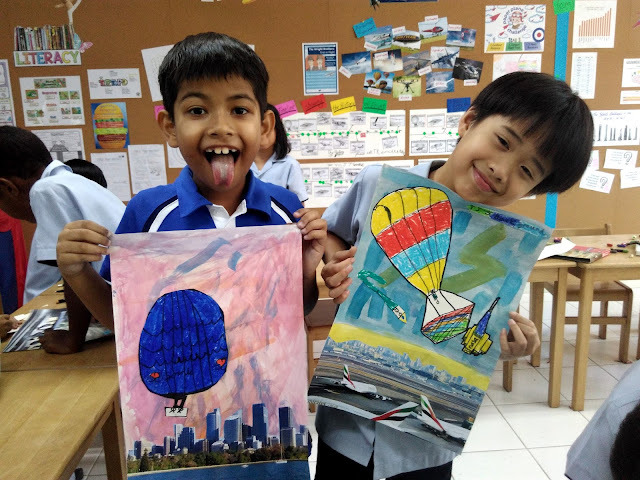 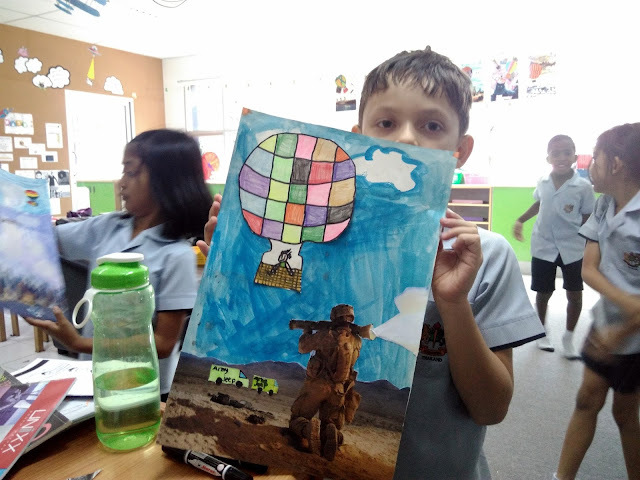 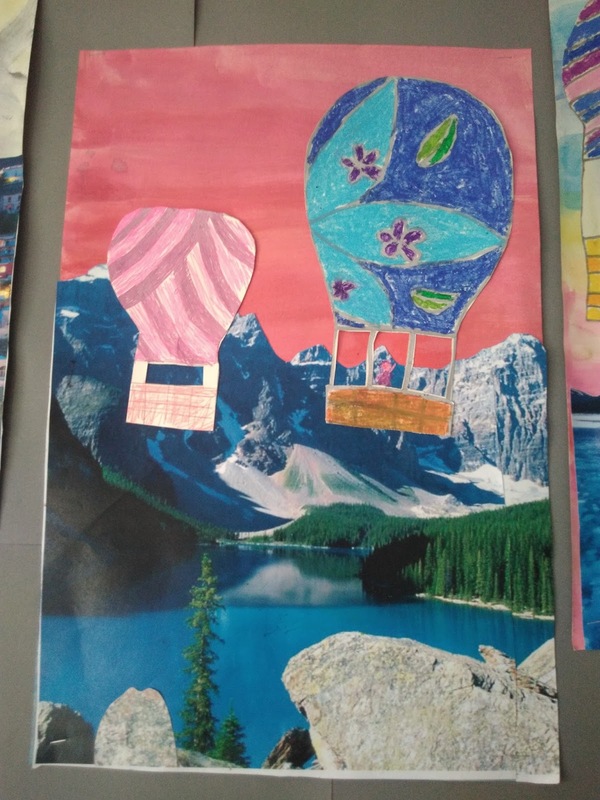 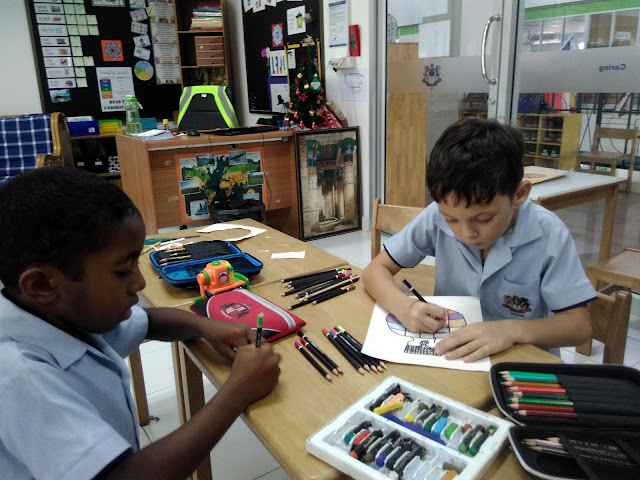 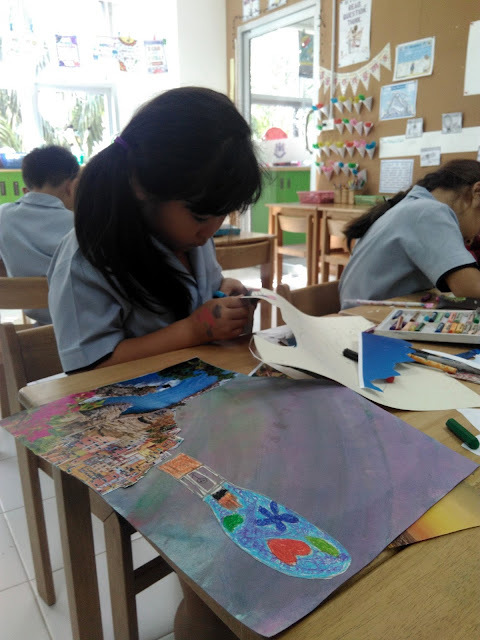 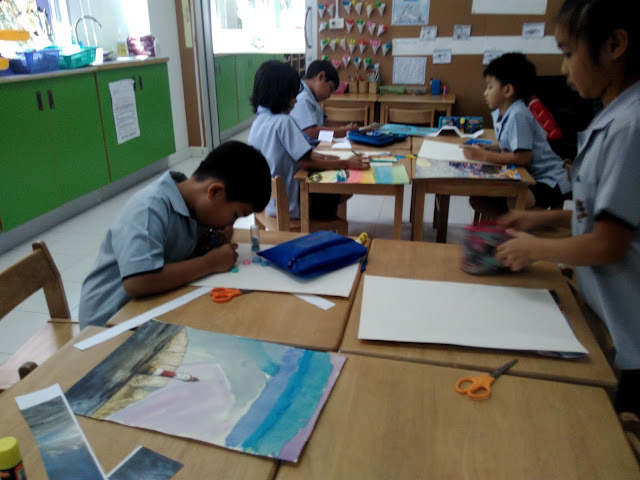 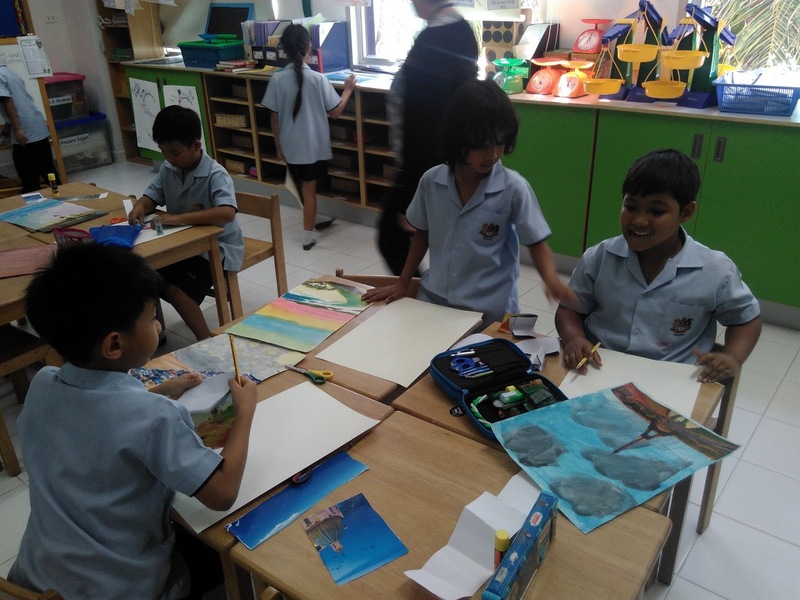 We have been using a mixture of printed landscape scenes, painted skies and hand drawn balloons to create some magnificent mixed-media artwork! 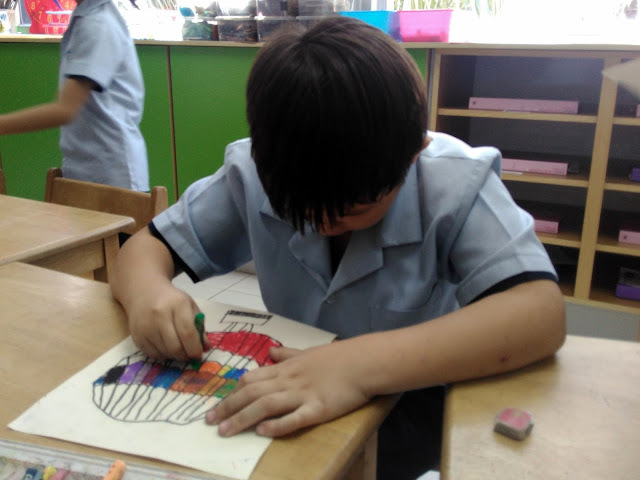 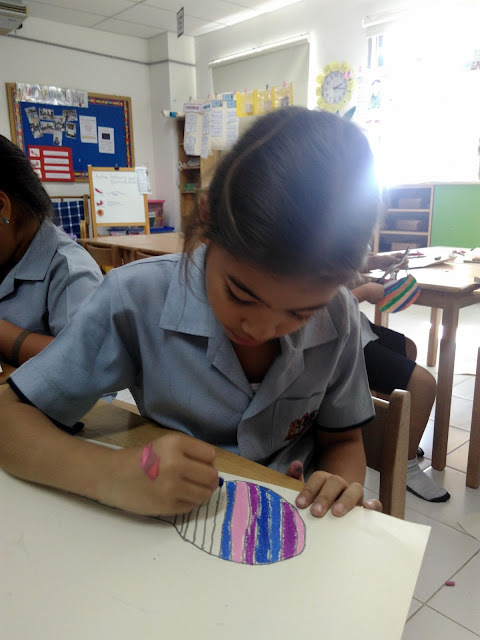 Here are some pictures of us at work and the results of our creativity. 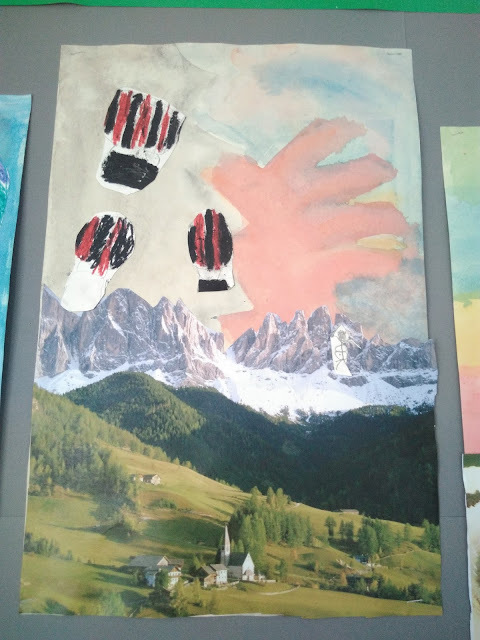 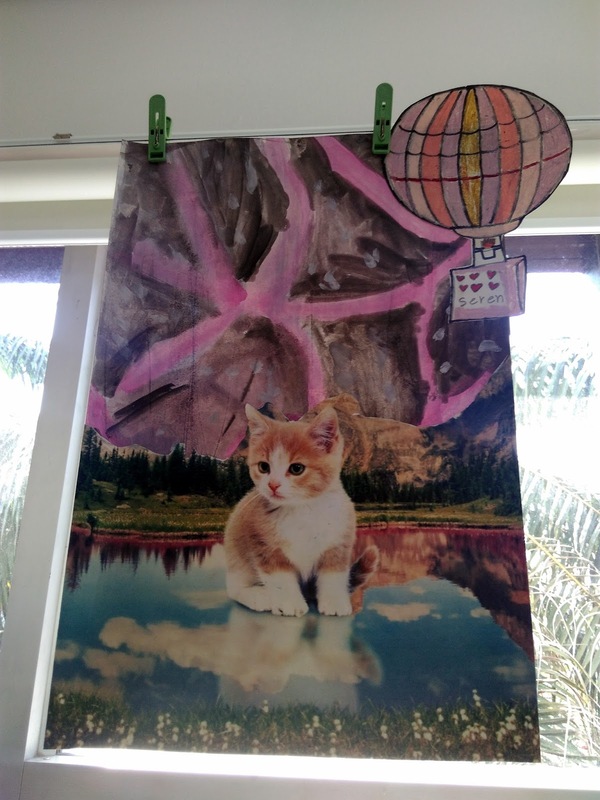 I like to make a picture of my own because l like to make it.